WASHINGTON (AP) - An Alabama woman who joined the Islamic State group in Syria won't be allowed to return to the United States with her toddler son because she is not an American citizen, the U.S. said Wednesday. Her lawyer is challenging that claim. "Ms. Hoda Muthana is not a U.S. citizen and will not be admitted into the United States," he said. "She does not have any legal basis, no valid U.S. passport, no right to a passport nor any visa to travel to the United States." "She's an American. Americans break the law," said Shibly, a lawyer with the Florida chapter of the Council on American-Islamic Relations. "When people break the law, we have a legal system to handle those kinds of situations to hold people accountable, and that's all she's asking for." Shibly said that the administration argues that she didn't qualify for citizenship because her father was a Yemeni diplomat. But the lawyer said her father had not had diplomatic status at the time of her birth in Hackensack, New Jersey. He released a copy of the woman's birth certificate, issued two months after her birth on Oct. 28, 1994, to support his claim. The lawyer also provided to The Associated Press a letter from the U.S. Mission to the United Nations to what was then known as the Bureau of Citizenship and Immigration Services attesting to the fact that the woman's father, Ahmed Ali Muthana, was a member of the Yemeni diplomatic mission to the U.N. from Oct. 15, 1990 to Sept. 1, 1994. President Donald Trump said Wednesday on Twitter that he was behind the decision to deny her entry, tweeting that "I have instructed Secretary of State Mike Pompeo, and he fully agrees, not to allow Hoda Muthana back into the Country!" 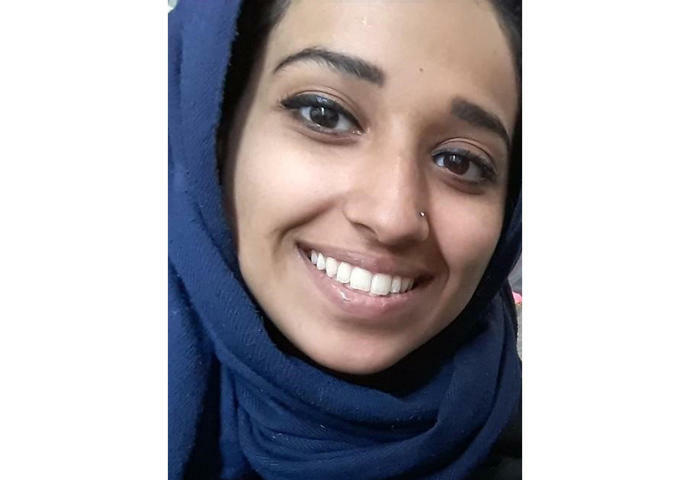 Muthana's lawyer said she was "just a stupid, naive, young dumb woman," when she became enamored of Islamic State, believing it was an organization that protected Muslims. Shibly said she fled her family in Alabama and made her way to Syria, where she was "brainwashed" by IS and compelled to marry one of the group's soldiers. After he was killed, she married another, the father of her son. After her second husband was also killed she married a third IS fighter but she "became disenchanted with the marriage," and decided to escape, the lawyer said. Shibly, based in Tampa, Florida, said he intends to file a legal challenge to the government's decision to deny her entry to the country. The State Department declined to disclose details about her father or Muthana's case, citing privacy law. However, Muthana's case is unusual, if not unprecedented in that she once held a U.S. passport. Passports are only issued to citizens by birth or naturalization, according to Seamus Hughes, the deputy director of the Program on Extremism at George Washington University, who has studied the phenomenon of foreign Islamic State fighters and families. "If you are trying to make the case that others should take back their people, it stands to reason that you would do that, too," he said. In a letter released by Shibly, Muthana wrote that she made "a big mistake" by rejecting her family and friends in the United States to join the Islamic State. Replogle reported from Tampa, Florida. Associated Press writer Jay Reeves in Birmingham, Alabama, contributed to this report. SEOUL, South Korea (AP) - North Korea said Thursday that it had test-fired a new type of "tactical guided weapon," its first such test in nearly half a year, and demanded that Washington remove Secretary of State Mike Pompeo from nuclear negotiations.